, a change that added dates on image thumbnails to help you see which images are most recent. Now, you can use the new date filter in the left-hand set of tools to narrow your search to just images from the previous week. 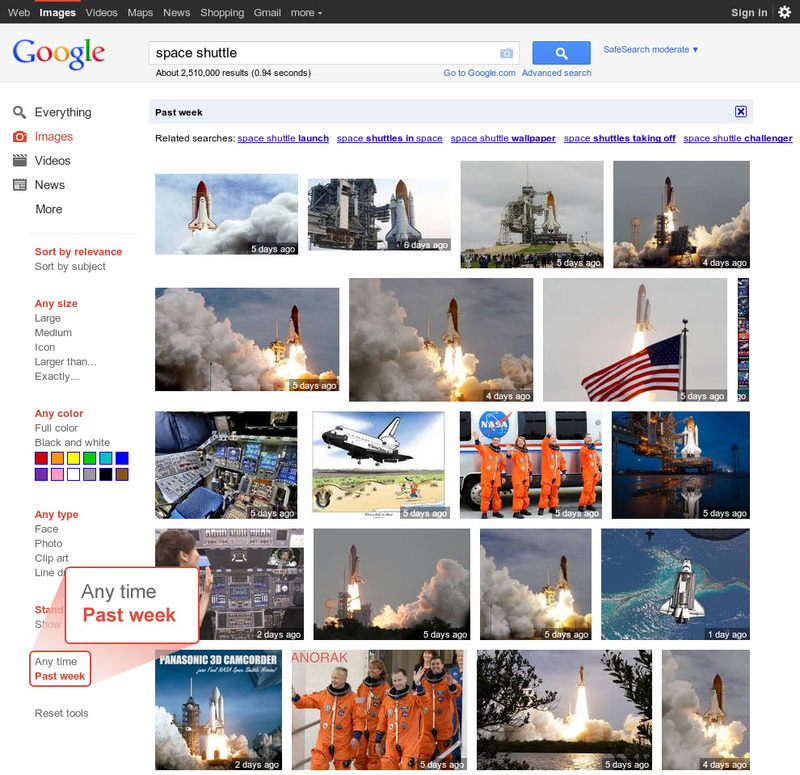 For example, if you search for [space shuttle], you'll see images for shuttle launches throughout the years. If you want to see just recent images, like ones of Atlantis, the most recent NASA shuttle to launch, you can click "Past week" in the left-hand panel of tools to see images from the last seven days. To find other recent images, try searches for [women’s world cup], [mlb all star game] or [harry potter premiere]. Back in April, we introduced Google Images with date annotations, a change that added dates on image thumbnails to help you see which images are most recent. Now, you can use the new date filter in the left-hand set of tools to narrow your search to just images from the previous week.